The beginning of spring brought the usual temperamental April weather to Seattle. We had our fair share of storms, hot summery days, and seemingly endless rains. The garden in front of our studio is thriving though and bathing us in a cavalcade of scents, colors, and other miracles of nature. 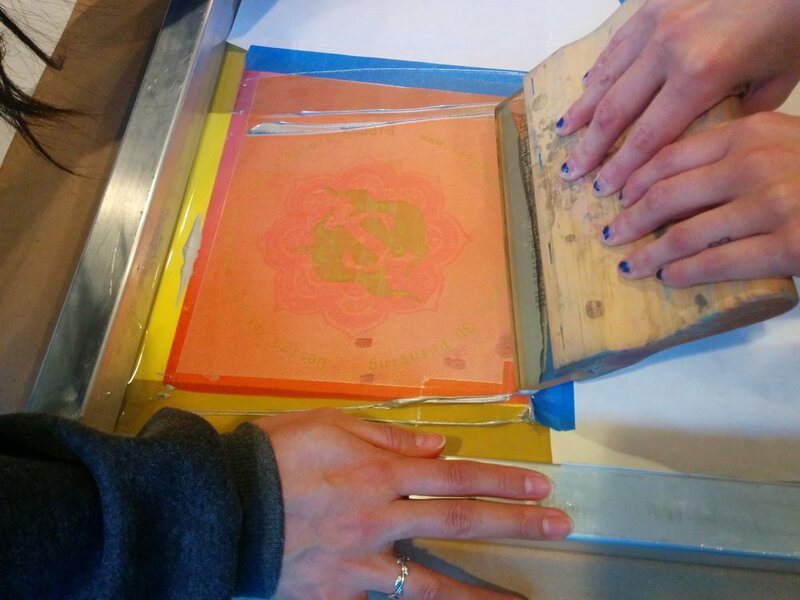 It’s been so busy in and outside of the studio that I could hardly keep up with documentation here on our blog. 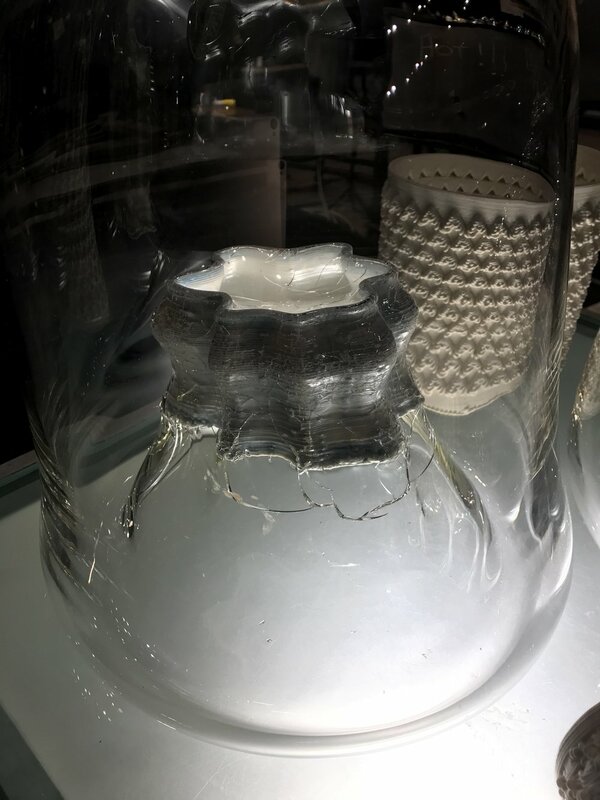 Timea was invited as a visiting artist to the Glass Museum in Tacoma, where she experimented with various innovative and experimental technical solutions for combining blown glass and 3D printed porcelain. She is the first to pursue such direction at the Museum of Glass, and as far as we could find out, anywhere in the world. 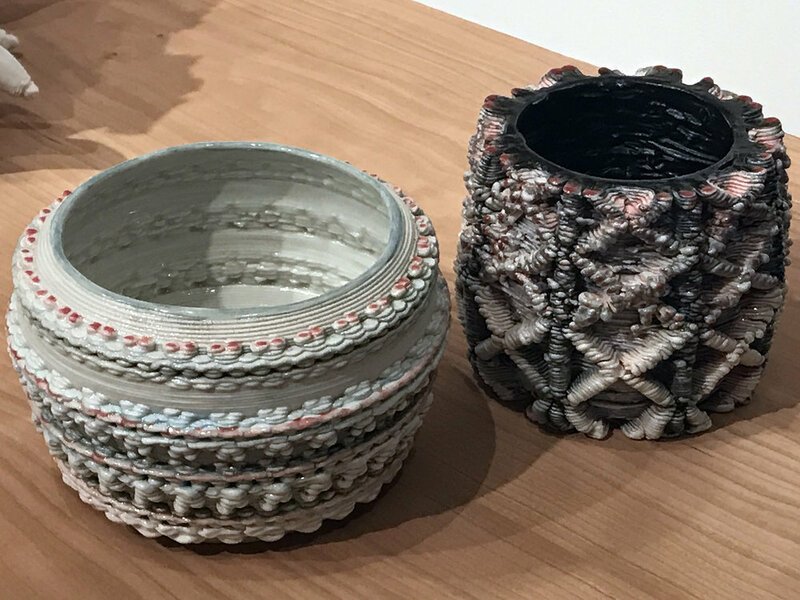 Our two new interns, Pooja and Soham have been settling in and learning a lot about the ceramic process with 3D printing. 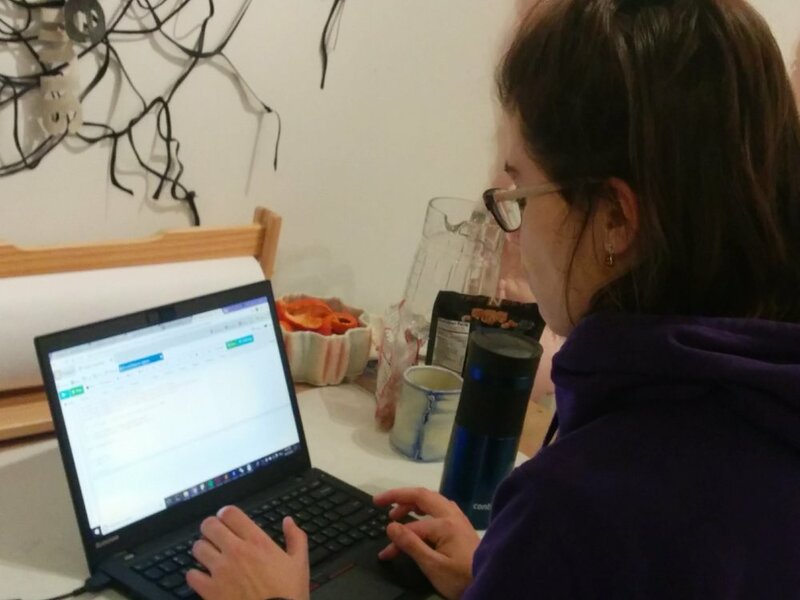 Both have a background in math and will also be working with Daria, who is a returning intern at Slip Rabbit and a graduating senior in math at the UW. We are programming! It takes a village but the process is so much fun and very different from the usual digital 3D construction process. Using some mathematical ideas, we are pursuing unique self-generating patterns that are still based on rules but have more opportunities for chance and randomness. We are grateful to our wonderful collaborators, consultants, and fellow tinkerers who are with us along the way, be that with math questions, programming, server upgrades, or connections to expand into new research ideas. We have a lot on our plate and our minds as we are thinking about next year and beyond. Lastly, time has come to parse through our research reference archives and make room on our shelves for new work to come. On Sunday, April 29th, we are opening our doors for a Studio Spring-Clean Sale, 3-6pm. Thanks for all of you who came out to support Slip Rabbit and to see what we do. We were excited to welcome so many new friends and potential collaborators too! I'm so proud of my winter quarter interns, Annabelle, Daria, and Fryda, who were holding down the studio and not just during the Open House. These amazing young women are smart and talented designers, scientists, and artists whom I can always rely on for hard work, smart conversations, and good cheer. We've accomplished so much this past months and looking forward to the spring with more ideas and more things to try. We will open the studio again for a Mother's Day Studio sale on Sunday, April 29th. We were looking for process-based solutions for using surfaces (i.e. Rhino plug-ins) when came across tilings. Slip Rabbit being a bunch of math nerds, we immediately picked up the thread and started looking at various ways surfaces can be tiled, mathematically. Plug-ins, softwares, and algorithms are great and very helpful at times but they don't do everything. Even if they do, someone had programmed them for "most usual cases" but not for our corky ideas. We find that we get more out of the process by going back to basics: understanding the math first to understand the possibilities, and then launching from that solid platform with creating new pieces. This way we got to 2, 3 and 4 color tilings and then to making those even more dimensional and exciting. We love the results so much that we are making tilings our second research path for the spring. We are opening the studio to visitors on the afternoon of Saturday, March 17th. Come to see Slip Rabbit in action and meet the fall interns. We will also be doing printing demos and project presentations, and yes, there will be a cup sale again, snacks and drinks, as well as a debut of the new Slip Rabbit T-shirts!!! 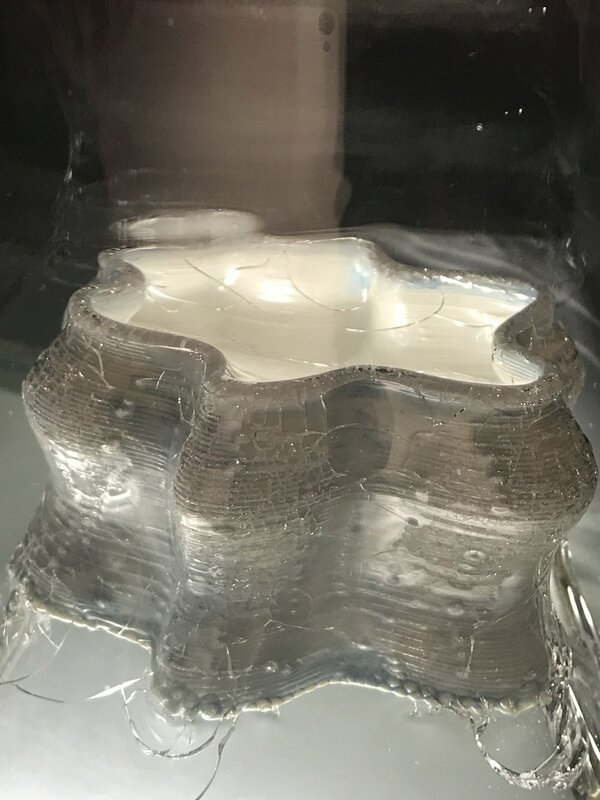 Working with the cellular automata has been fascinating and has opened many possibilities for form and concept, which we've been exploring widely. The files are enormous and the mathematical and formal design work is extremely time consuming. Some of the finished early test pieces are here (one of our new Slip Rabbit cups also makes an appearance in the last photo). The cylinders are 11.5" heigh. We are excited to announce the opening of our sister label's store, the QuickRabbit Designs Web Shop on Bigcartel. 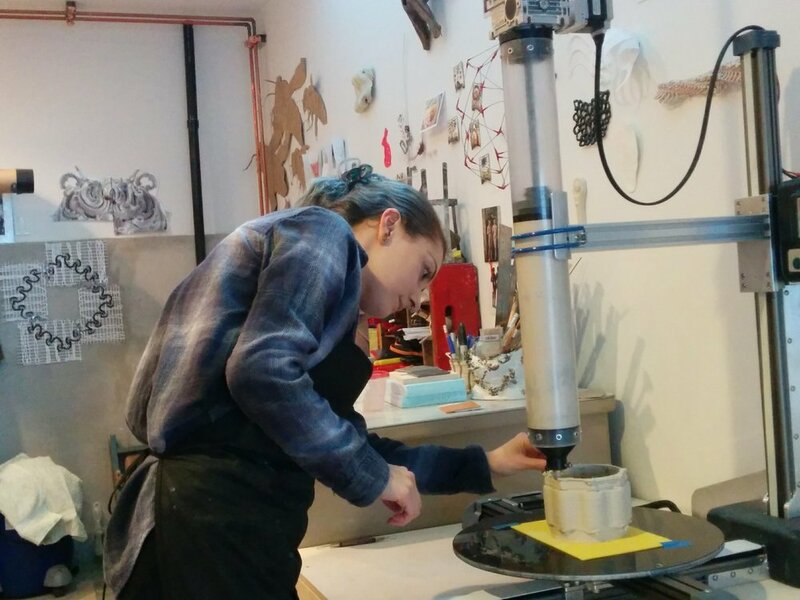 QuickRabbit Designs features unique functional, sculptural, and jewelry design objects by Timea. 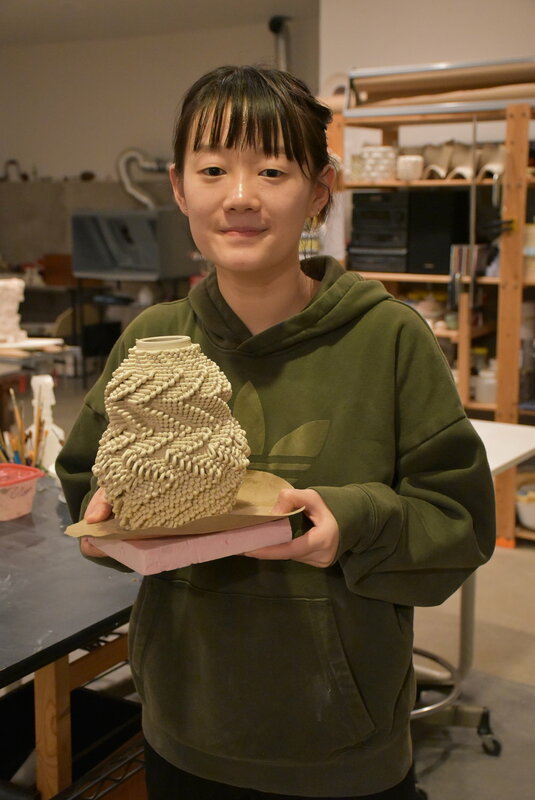 All sales support the mission of Slip Rabbit programs in digital ceramics and helps us keep our studio open to students, artists residents, and research collaborators. Our wonderful graphic designer in residence, Eli Kahn, has designed us a logo that we believe expresses the raison d'etre of Slip Rabbit: Collaboration, Dynamism, and Playfulness. Two pink rabbits running around in a circle (or turning like spokes around a hub) represents the studio's mission of interdisciplinary research and education, creating partnerships and a welcoming atmosphere of inventing, problem-solving and making, and the role the studio plays by bringing the digital process into the traditional craft of ceramics. This week, we have made great advance in two significant areas for printing algorithmic patterns: On one hand, working with mathematician Sara Billey, now we have a way to use cellular automata rules to generate codes for algorithmic patterns. I really appreciated learning from Sara more about the math behind this. It is inspiring to see how beautifully complex systems may be created from using a set of simple rules. On the other hand, we now have a method for turning the code into 3D forms and to apply it as texture on larger forms. This January, two new interns joined Slip Rabbit. Daria Micovic is a senior in math and Frida Saucedo is a senior in art at the UW. We are also excited about our collaboration with Professor Billey of UW Math on coding and printing rule based patterns, such as Cellular Automata (CA). We are exploring ways similar to the CA that generate infinite variations of pattern in both 2D and 3D. There are lots of ways to go with this process... In the studio, we had already developed two reliable methods for the application of patterns to forms and created weaving textures with these. This time, we would like to put an emphasis on creating the patterning rules by algorithmic means and learning more about why some of these create order while others unravel in chaos. Below are some of the patterns. Lagging behind a bit with the finishing of many of our wonderful fall projects. All recent pieces have been on a much larger scale (around 30cm's, appr. 12") with lots of delicate details, taking more time to dry properly and to fit into the firing schedule. These are very unique forms with finishes that are really coming together now. 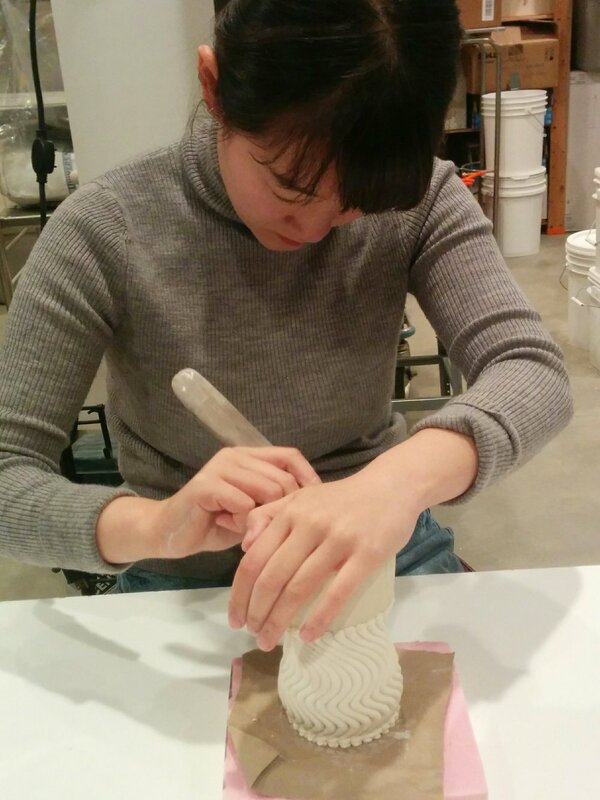 Slip Rabbit interns learn about every aspect of digital ceramics: they gain skills with the software and form design, working with clay and handling the machine and have a chance to create something on their own too. Three amazing interns are concluding their internship this week. Annabelle, Kate and Qing brought their wonderful exuberance to Slip Rabbit. For the past 3 months (6 for Qing), while plotting and revising designs together, fighting with the CAD software (damn "boolian union"! ), tending the print and putting finishing touches on the bisque work we have been chatting and laughing away many hours. Wishing you great success with your next projects. We will miss you!! The end of the year sneaked up on us. How did we find out? For several weeks now, our studio snack table has been overflowing with cups, each made at the end of printing of the day's worth of work to use up the leftover porcelain in the tube. We love these cups and have amassed a good number of them since the Open House! Their eclectic designs journal the history of our research ideas and the cups themselves also represent each and every wonderful hand that has worked on it, designing, printing, cleaning or painting, and each and every amazing Slip Rabbit intern who has come through the studio. 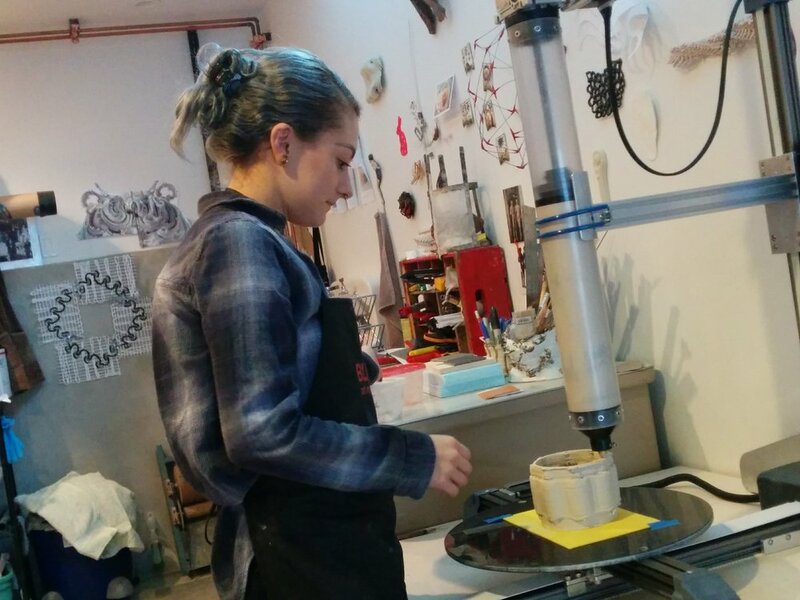 In addition, and because our team can never-never-ever throw anything away (not even the coil that comes out at priming the printer), printing and clay failures were transformed into jewelry by Timea. Our recent experiments with complex loop patterns have also been getting us closer and closer to the ultimate goal of this research chapter: weaving and knotting techniques. After researching numerous sources on basketry, tapestry, on/off loom weaving, crochet, knitting, even macrame (remember macrame? ), we've been considering various translations of these into 3D printed textures using our Potterbot7 printer. In many ways, a cylinder is the most ideal form in the first phrase of experimentation, so once again, we've made lots of cylinders. 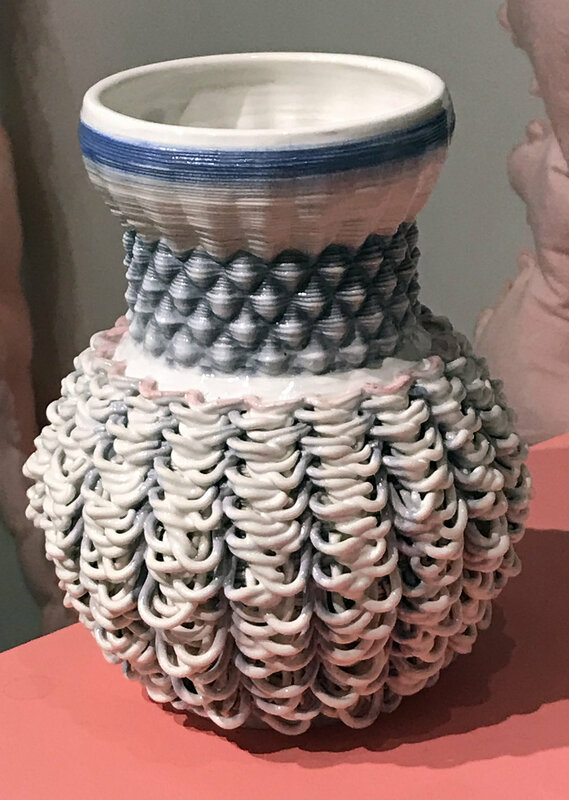 But gradually, as our digital toolkit for the design processes of knots and weaves developed, we’ve also became able to wrap patterns around forms or compose them into larger and more complicated vessels. Finally, we managed to wrangle a photo shoot of the larger summer projects. On November 17th, we took a day trip to Vancouver B.C. 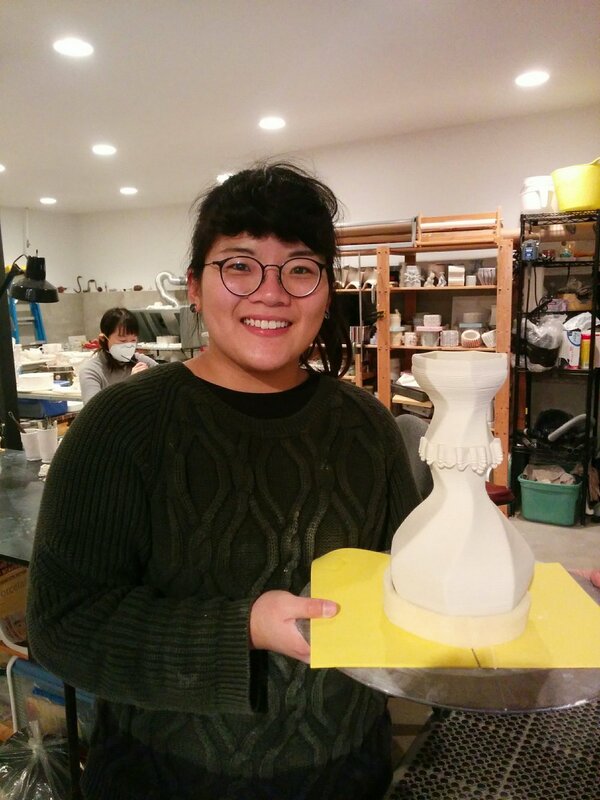 to attend the New Craft Symposium, organized by the Material Matters Lab at Emily Carr University of Art and Design. 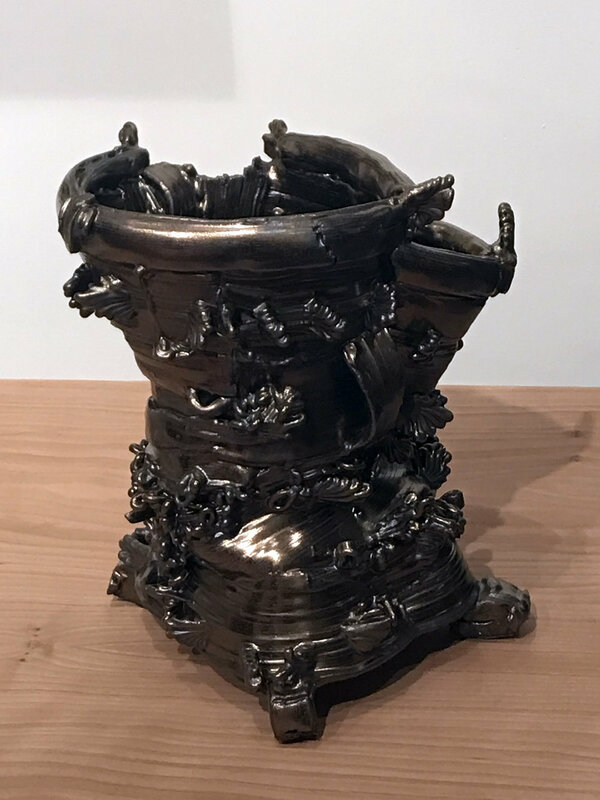 It was inspiring to see various projects, which expand the notion of craft into areas of design, art, fashion, technology, architecture, and social practice. The conversation about the role of makers and experimental practices of making that are in core collaborative and community oriented was equally fascinating. We came away with lots of new ideas. Slip Rabbit interns, Kate and Qing are watching the new "winged vessel" to print. Here is a selection from our experiments using loops. Turns out, it's more difficult to make them irregular than it is to stack them in an orderly way. 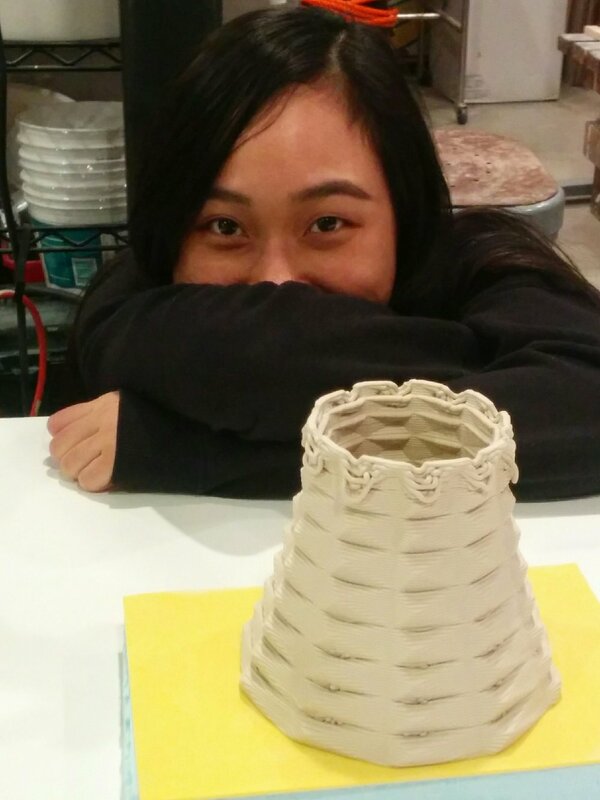 Baby it's cold outside... but the kiln is on and it's 83degrees in the studio! It's blistery and cold today. Listening to the endless drum roll of the rain while enjoying the cozy warmth coming from the direction of the kiln. 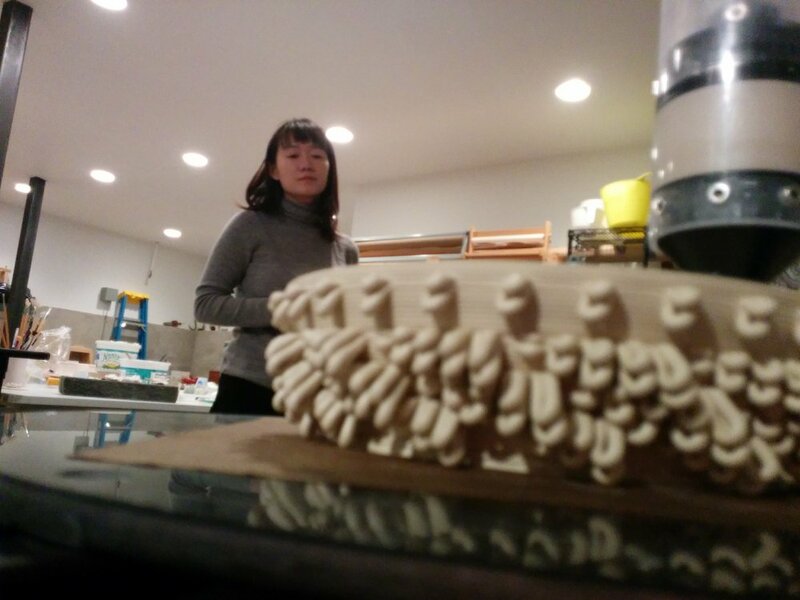 We are doing the first firing of the loop tests while revisiting some of our tropical designs from the summer. On November 3rd, Slip Rabbit hosted its Inaugural Open House at the studio with lively demos and exciting discussions, an exhibition of our summer projects and, of course, food and drinks (using our studio designed cups). Timea is explaining the process of slicing design models using Simplify3D. 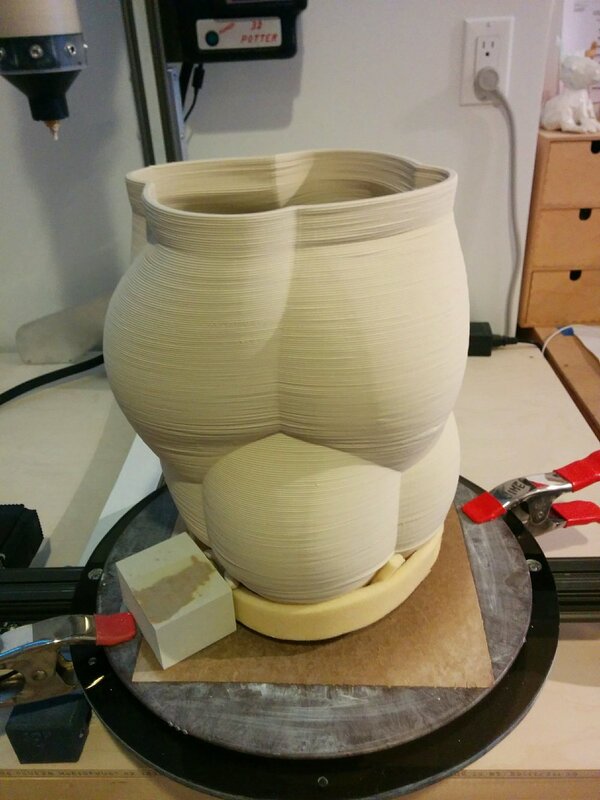 In the meantime, the base for Slip Rabbit's spiny vase is getting made on the printer. Fall is here and we are getting ready for the Annual Open House! 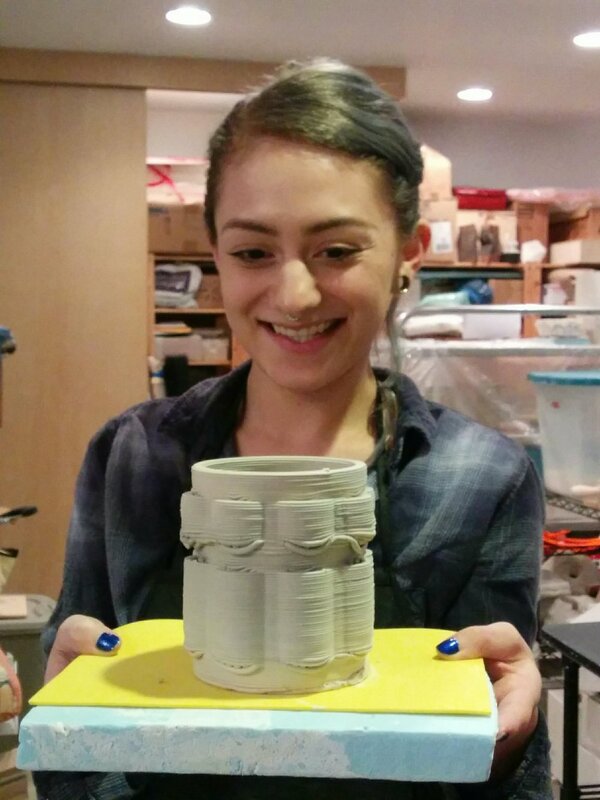 We are making a few different design prototypes for 3D printed porcelain cups. The work is a real team effort, allowing us to test and play with glaze and finish, making each cup into a one-of-a-kind, unique piece of art.